When your cuffs need some sprucing up, who ya gonna call? A Tailor? No way. Ghostbusters! Obviously. 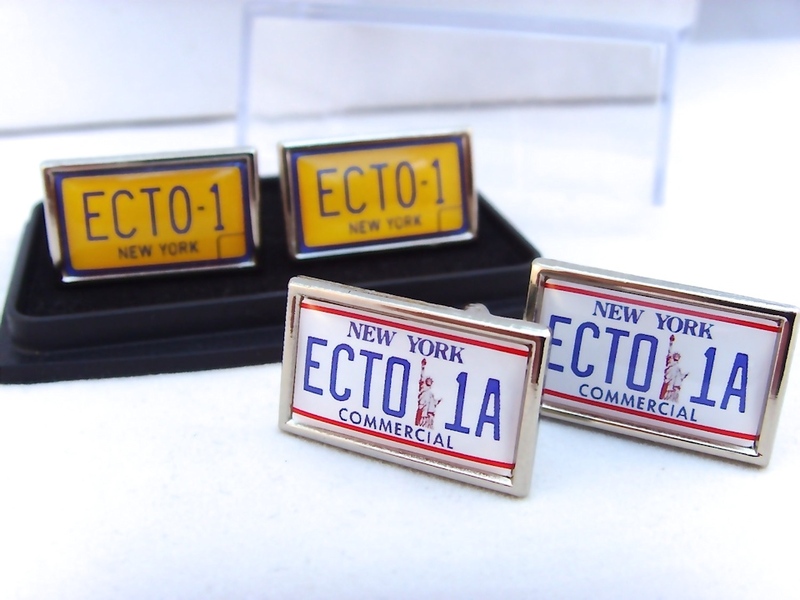 What you need are some cool Ecto-1 or Ecto-1A cufflinks to draw everyone’s attention when you dress up. I would totally wear these. They are perfect for any occasion. I wonder if the look any good on the Stay Puft Marshmallow Man’s wrists. I guess you could also dress up as a human shaped Ecto-1 too, in which case, these are the perfect accessory. These cufflinks look good and are lightweight metal, with a chrome finish. The image is set under a soft enamel/resin. I ain’t ‘fraid o no cuffs!